Our local Dungeness crab in Humboldt, where they should belong. Those waiting with bated breath for some locally caught crab have some more waiting to do, the California Department of Fish and Wildlife announced this afternoon. 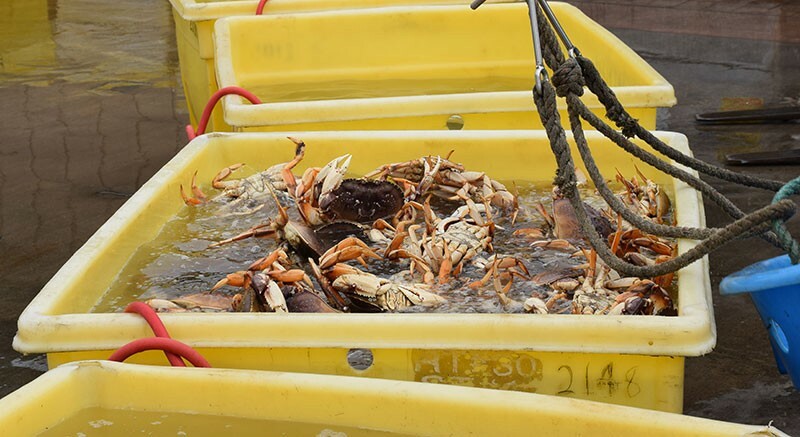 The already delayed opening of the commercial Dungeness crab season has been pushed back to Jan. 15 after quality tests scheduled to take place this week had to be canceled due to rough ocean conditions, which prevented boats from safely deploying and retrieving traps. Testing on crab collected Nov. 3 and Dec. 4 showed the crab did not have enough meat to warrant opening of the season but the opening cannot be delayed again for that reason beyond Jan. 15. However, the department continues to test for domoic acid and a positive test could trigger further delays. But, as of now, the season is set to begin at 12:01 a.m. on Jan 15, with commercial vessels allowed to begin setting their gear after 8:01 a.m. on Jan. 12.